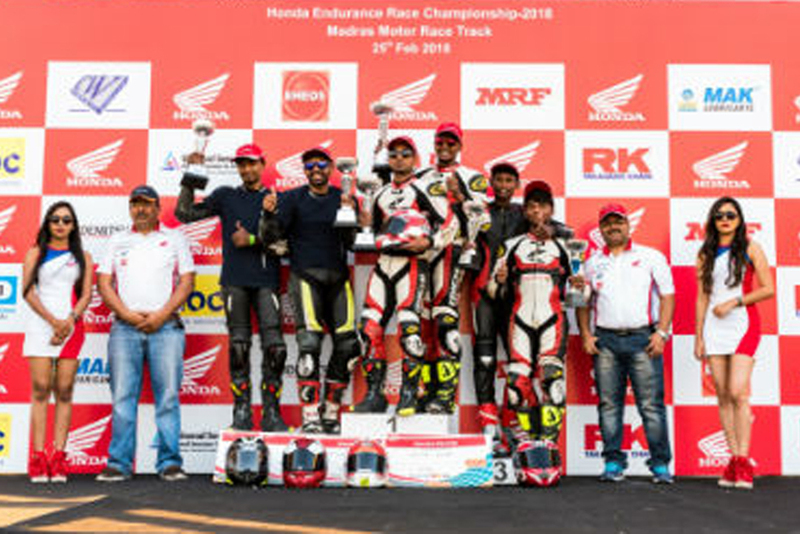 Captivating motorsports legacy to another level, Honda 2Wheelers India started its racing season-2018 with the first ever AVT Gold Cup Million Motorcycle ENDURANCE RACE which was held at Madras Motor Race Track (MMRT), Chennai on February 24-25, 2018. Honda 2Wheelers along with Madras Motor Sports Club (MMSC) has brought forth the Endurance race motorsport to India. Endurance racing is a form of motorsport racing, meant to test the durability and endurance of both the equipment and the rider. The race will be of 90 minutes duration, where all classes will be on the grid at the same time racing together. While each team has two riders, only one rider will be racing at a time. The second rider will replace the first as per the team’s strategy. Each rider entering the track during the race has to complete a minimum of 20 minutes before changing over to the other rider. The maximum time that a rider can ride continuously is 45 minutes. The top three finishers from each category were awarded & their victory was marked by a podium celebration, held after the race. Honda Ten10 Racing team swept the stage by emerging as overall winners & additionally won in two of the categories – 4 Stroke Pro Stock up to 165cc & Honda CBR250R. 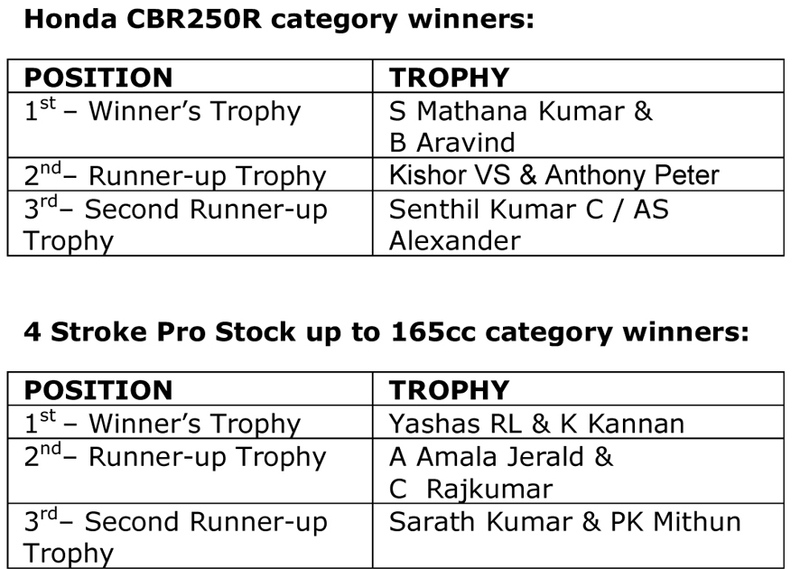 Overall winners S Mathana Kumar & B Aravind from the Honda Ten10 Racing team were additionally awarded Rs. 50,000 as start money.